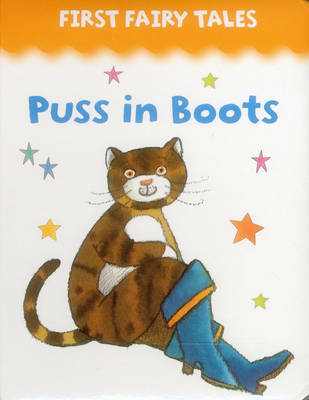 This book lets you follow the exploits of Puss in Boots, a cunning cat who improves the fortunes of a poor miller's son - and even enables the lad to marry a princess! This traditional story is retold in rhyme in this special chunky boardbook. Big, bright illustrations and simple, rhyming text make this first fairy-tale book perfect for reading aloud to little ones, or for more confident young readers to enjoy by themselves. You can count how many pretty little butterflies appear throughout the story. When the good miller grew old and died, His three poor sons were sad and cried. The mill was left to the eldest son. The donkey belonged to the middle one. That left the youngest with just the cat. "What," he asked, "is the good of that?" But Puss said, "Please get for me, Some boots and a bag, and then you'll see..." And so will you, if you take a look Within the pages of this boardbook!